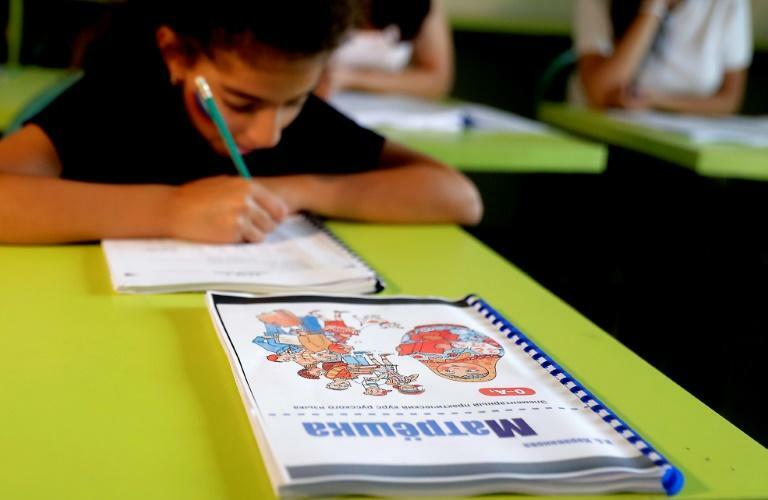 In a dimly-lit classroom in a Lebanese mountain town, students of all ages pore over Cyrillic workbooks and repeat carefully after their blonde instructor. "Privet. Kak dela?" -- "Hello, how are you?" Moscow may have won influence in war-torn Syria through its blistering military intervention, but it is adopting a softer approach in neighbouring Lebanon, where France and the US have held stronger sway. Whether through cultural outreach, planned business deals or traditional diplomacy, Russia appears to be trying to put down deep roots in the tiny Mediterranean country. In her classroom at the Russian-Lebanese Cultural Center, nestled in the town of Aley, instructor Galina Pavlova says she hopes her native tongue will find more fans among Lebanese, who in addition to Arabic often speak French and English. "We don't want France and the United States to be the only ones present in Lebanon -- Russia is a very important country too," she tells AFP. 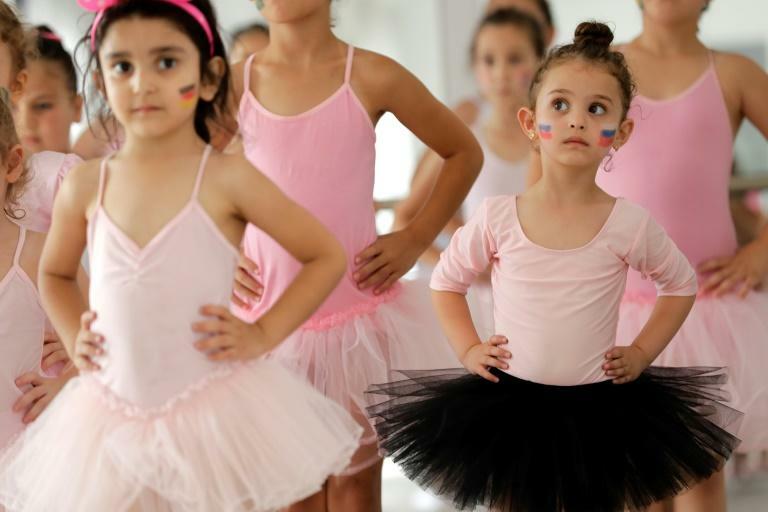 The Aley centre is one of three new such hubs to have opened in Lebanon this summer alone, established with the backing of Moscow's embassy in Beirut. "This expansion falls within the framework of a strategy aiming to strengthen Moscow's presence in the Middle East," says Imad Rizk, who heads the Isticharia Centre for Strategic and Communication Studies. Ties between Moscow and Beirut intensified in the 1950s with the rise of Lebanon's left, before fading after the collapse of the Soviet Union. "Lebanon, still strongly associated to the West, is one certainly symbolic piece of (Russia's) broader desire to remodel the world governance," says Julien Nocetti, a specialist in Russia's role in the Middle East. The aim, he says, is to hasten "the coming of a post-West world order." As new cultural centres open, Moscow is also boosting to 60 the number of university scholarships it gives to Lebanese students this year and deepening its economic ties to Beirut. It nearly doubled the value of its exports to the tiny country from $423 million in 2012 to $770 million last year, according to Lebanese customs data. The two countries are in talks over potentially opening a "green corridor" for Lebanese agricultural exports to Russia. And Novatek, one of Russia's largest natural gas producers, is part of a consortium expected to begin exploring for gas off Lebanon's coast next year. Lebanon's top diplomat Gebran Bassil travelled to Moscow recently, encouraging more Russian companies to take part in a new upcoming tender for further exploration. Beirut is relying on external help to revive its struggling economy, and in April a donor conference raised $11 billion in low-interest loans and aid for the state to improve basic public services. "We hope to make the Russians participate in the vast project to modernise Lebanese infrastructure," says Jacques Sarraf, who heads the Lebanese-Russian Business Council. In addition, Sarraf says, "Russian businesses intend to put down roots in Lebanon's north ahead of Syria's reconstruction." But the process is complicated, with both Syrian and Russian firms facing European and American sanctions that have left Lebanese banks "reluctant to deal with their Russian counterparts," he adds. Lebanon's banking sector is already being carefully monitored by the US Treasury, which is seeking to weaken the powerful Iran-backed Hezbollah movement by targeting "suspicious" banking. Lebanon's growth has slowed to a crawl in recent years as political divisions have paralysed the government and services have been strained by the arrival of 1.5 million Syrian refugees. Moscow is looking to lend a helping hand there too, launching an initiative in July to repatriate refugees from around the region. The proposal has been welcomed by the political class in Lebanon, which hosts some 900,000 refugees who could return to Syria, according to President Michel Aoun, who is close to both Damascus and Hezbollah. Moscow has also proposed a billion-dollar defence contract to arm Lebanese troops, but Beirut pulled out at the "last minute," says Sarraf. Such a deal could have jeopardised the sizeable US support Beirut receives from the US, including the $1.7 billion it has received in military aid since 2006. Aram Nerguizian, co-director of the Carnegie Middle East Center's department on civil-military relations, says Lebanon's ties to the US were at stake. "If Lebanon accepts or even insinuates an intent to accept a Russian credit line for the purchase of Russian defence articles, it will have significant -- and potentially irreversible -- geopolitical consequences on Lebanon's existing bilateral and multilateral commitments and partnerships, especially ties to the US," he tells AFP.